A mixture of Dynamite Baits’ finest particles all cooked and prepared to the highest standard. This is an excellent bait when you are looking to create a bed of feed as the different baits in the mix ensure that fish don’t get pre-occupied feeding on just the one food item. 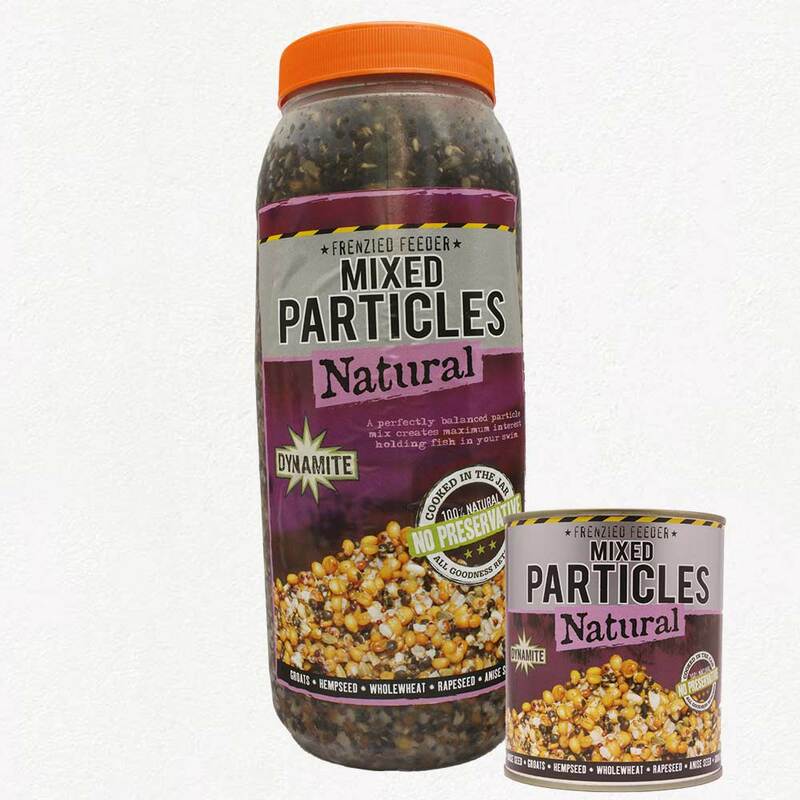 You can get the Mixed Particles in 2.5l jars or 600g tins. The main thing that sets the Dynamite Particle Range apart from the rest is there are no added preservatives what so ever! The range of particles are cooked inside the tin/jar, meaning none of their natural fish attracting oils and nutrients, attractants are lost.